If you missed last week, be sure to check out Hookin’ Up #35! Almost 400 projects, peeps! 400! You guys are a talented bunch, I’ll tell you what. I did a literal jaw drop when I saw the before and after of this amazing living room by Reloved Furniture Addict. Isn’t the After beautiful? 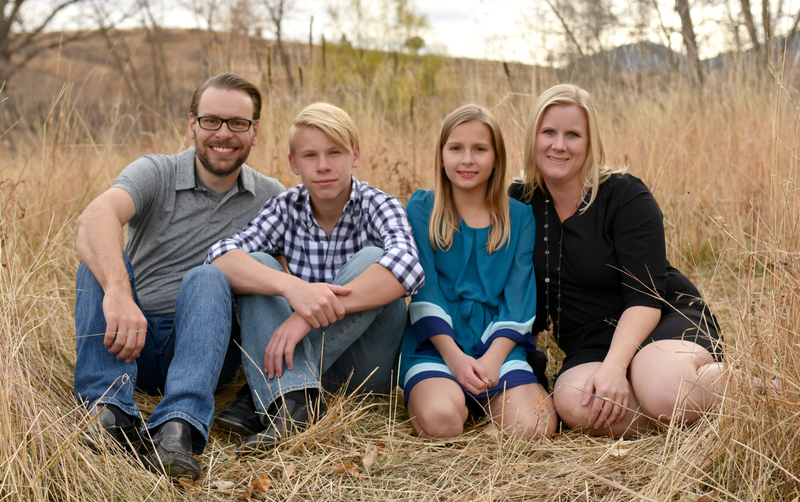 You’ll appreciate it even more when you stop by her blog and see her Before pics. Crafts by Amanda spruced up an ugly rooster clock using paint chips. Nice work Amanda! These beautiful heart charms are made from… wait for it… Salt Dough. Yup. Dough. Find out how to make some for yourself at Smile Monsters. I love The Speckled Dog. She and I must live on the same wave length. Isn’t her Bowl turned Pedestal just so purdy? What is my obsession with these darling apothecary stands? And why haven’t I made any?? Lolly Jane Boutique made some cute ones! Check. Out. That. Dresser. Welcome to my Home took a basic IKEA dresser and painted it. Beautiful. This is my new inspiration picture for my laundry room. I want that locker area by Creative Decor by Brooke. Nice work, my friend. All you ever wanted to know about paper weaving can be found with this great tutorial. Isn’t this basket by Nifty Thrifty Things so cool?! Frog 2 Fab made some cute rosette hanging balls. I’m just super impressed because when I tried to make those roses… well, it was an EPIC FAIL. So anyone who can do it is a hero in my book. On The V Side wows me again. I love these. 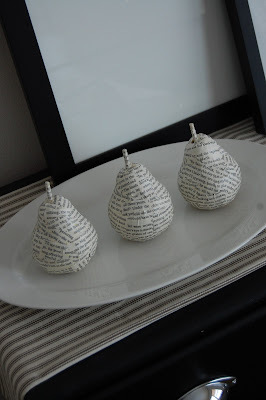 I have some apples just begging to be covered with book pages. 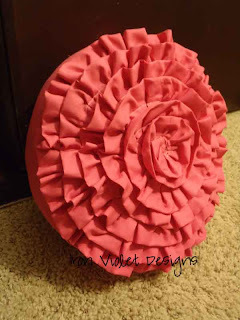 Iron Violet Designs made this beautiful flower pillow. Mommy in the Mountains spruced up and organized her pantry. Her Before was a total wreck so this After really had me grinning. Make your own painted t-shirts by following Crafts and Such‘s easy tutorial. What is my deal with all the Before&After features today? I’m totally digging them, especially this After by Project: Wife. Love the new island, and I really love the fun bar addition! This party will be open until Sunday, February 13th, 2011 at 10am CST. Allison! Thanks for featuring my dresser! Awesome name, by the way. Thanks for featuring me!! I saw those salt dough heart charms the other day and did a double-take when I saw what they were made of. Awesome! Those apothecary jars are awesome too. Totally awesome stuff. WE are working on a few things right now but nothing is complete. Soon. I promise. Thanks for hosting again Allison. I love those apothecary jars. THANKS for the shout out, whoot whoot! (: We’re so excited as we LOVE your style!! Just found your blog and it is so cute. I love this weeks features. I joined in the party and became a follower. 😉 Thanks for hosting! 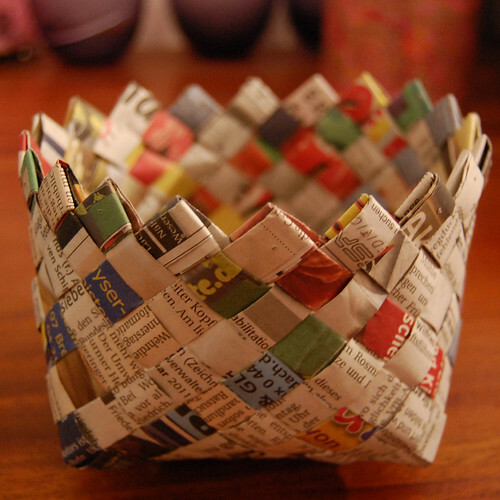 THANKS for featuring my paper basket this week!! And a bitg thanks for hosting the linky party!! Thanks so much for featuring my clock Allison! I really appreciate it! Loving all the inspiration to be found in the party. Linked up my beads of love tutorial ! 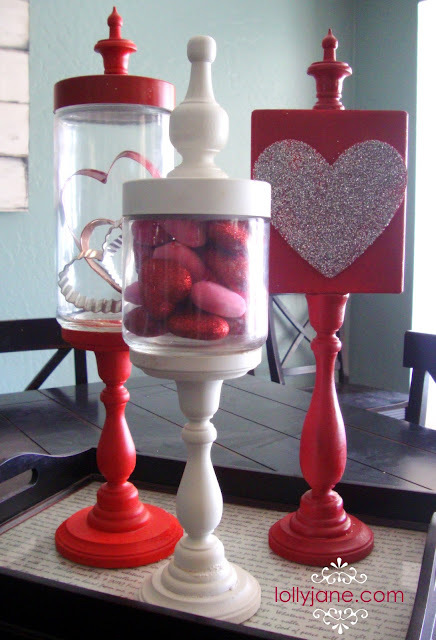 Hi – I just posted #171 a dress up center I made out of an old armoire my kids used. Thanks for hosting, I know there is a cost now – and we really appreciate the parties! Posted my 70’s table makeover. Thanks as always for the linky. Hey Allison! Thanks so much for the feature! Thanks again for hosting – have a great day! Thank you for featuring my laundry/mudroom. I have so enjoyed it since the re-do. This is my first visit to your blog and it’s AWESOME! Thanks for hosting the linky party – tons of great stuff to check out! Thanks for hosting this link party. I’m loving that locker area, too! I am floored! 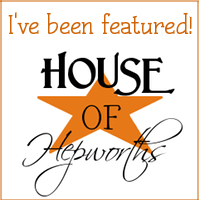 I just started my blog last month and was SO excited to be featured on HoH. You’ve brought lots of traffic to my little blog and it definitely has encouraged me to keep on blogging.